One of the most popular forms of group riding these days is the “Gravel Grinder” or mixed terrain riding. 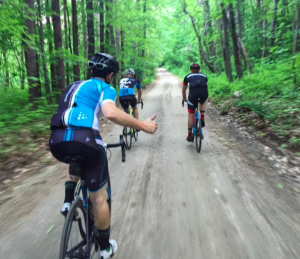 Popular in large part because it takes place on lightly trafficked roads and trails, gravel rides and races can be found throughout New England. You do not need a USA Cycling license to participate, though a Basic membership or Race Membership can provide some insurance and ancillary benefits. 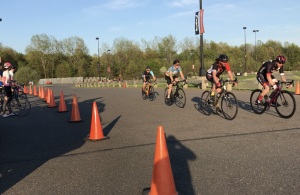 If you are ready to pin on a number and rub elbows with your fellow racers there is no better place than one of New England's many training criteriums. Held on a short course, generally closed to traffic these events offer a low key way to try racing. Training races do require a USA Cycling Race license, but you can start off with a One Day trial license for just $10. If you have a USA Cycling Basic membership your first One Day license is FREE! Perhaps pavement just isn’t your jam. But you like riding in the woods and are itching for a little competition. New England has a host of competitive mountain bike events and in the fall and winter you can keep rolling on the Fat Bike too! 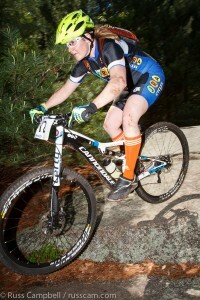 Mountain bike races in New England are organized either by USA Cycling or the Eastern Fat Tire Association. Both sanctioning bodies offer one day licences so you can try racing before you purchase an annual race license. 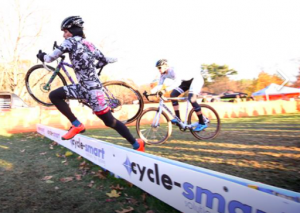 Legend has it if you want to call yourself a bike racer in New England you have to do cyclocross. Perhaps the most fun you can have on two wheels Cyclocross takes place in the fall- from late August through December. No matter the weather you’ll find New England's racing community bombing around the fields and trails every weekend. Track racing is alive and well in New England! 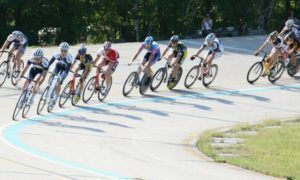 One of the oldest and most traditional forms of bicycle racing can be found at the Northeast Velodrome in Londonderry New Hampshire. One of the most beginner friendly communities awaits you around the oval. And if you don’t have a track bike the Velodrome has rentals available.